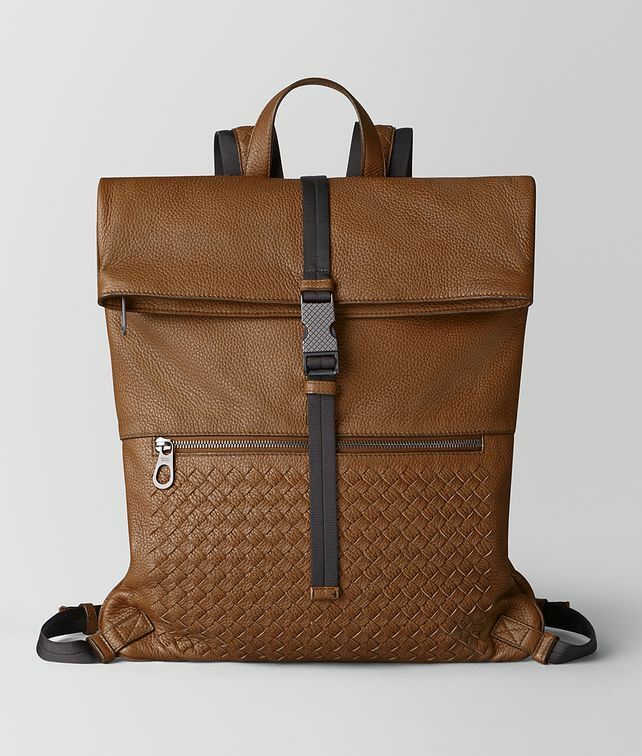 Made in a distinctive flat shape with a folding construction, this backpack is a practical yet stylish bag for every day. The design, new for Cruise 2019, is crafted from ultra-soft washed deerskin and features a front zip pocket in hand-woven intrecciato, an engraved metal clasp and a top zip fastening. It is equipped with an interior zip pocket, two smartphone pockets and adjustable shoulder straps made of nylon and intrecciato nappa.